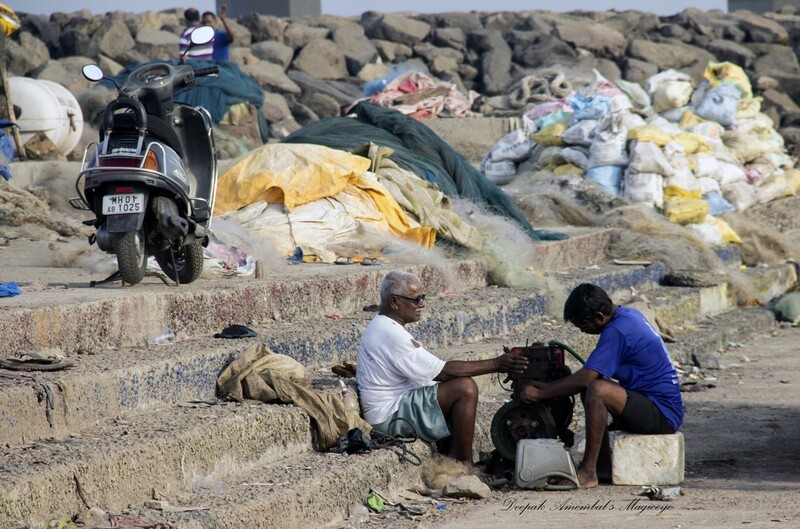 Maintenance of boat engine ashore at Worli bunder. 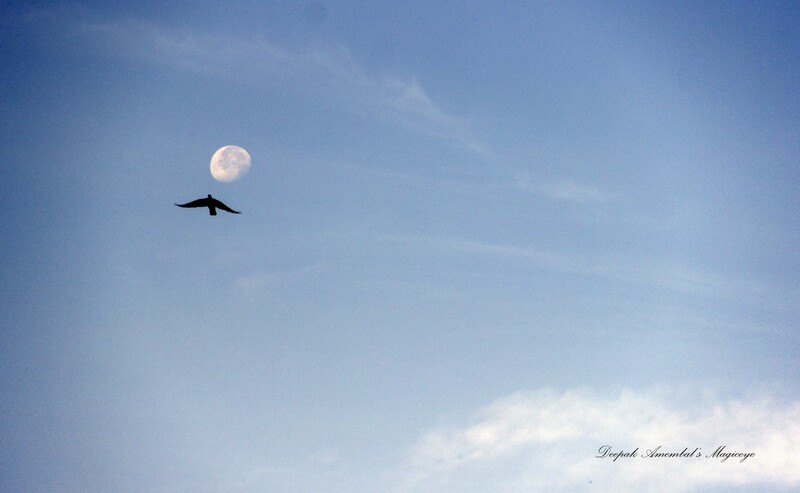 The Mumbai morning sky a couple of days back. Catch of the day at Worli bunder. 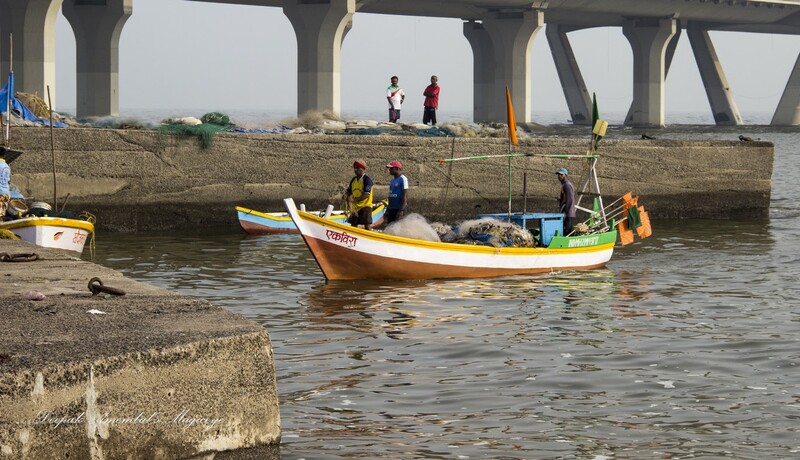 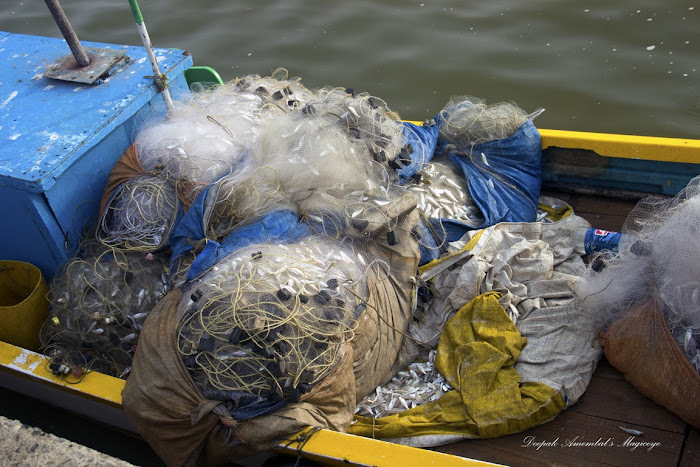 Coming home with the catch at Worli bunder. 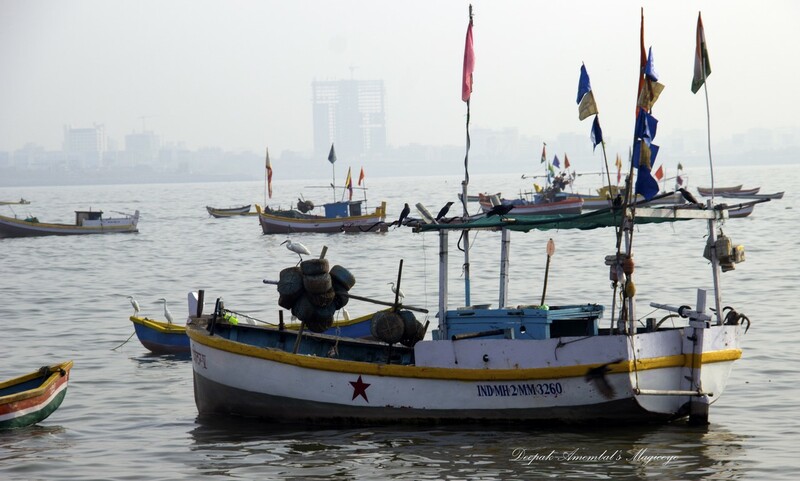 Birds and boats bobbing in the sea at Worli. 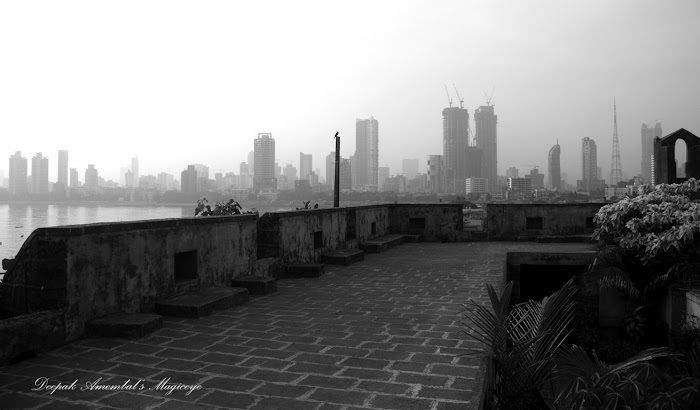 The look outs on the job at Worli fort with a hazy sky in the background. 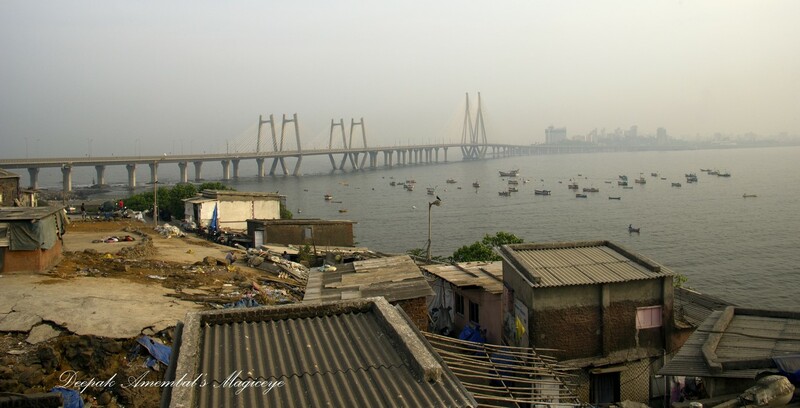 The bridge, the bus, the boat, the birds and the boys in Worli village. 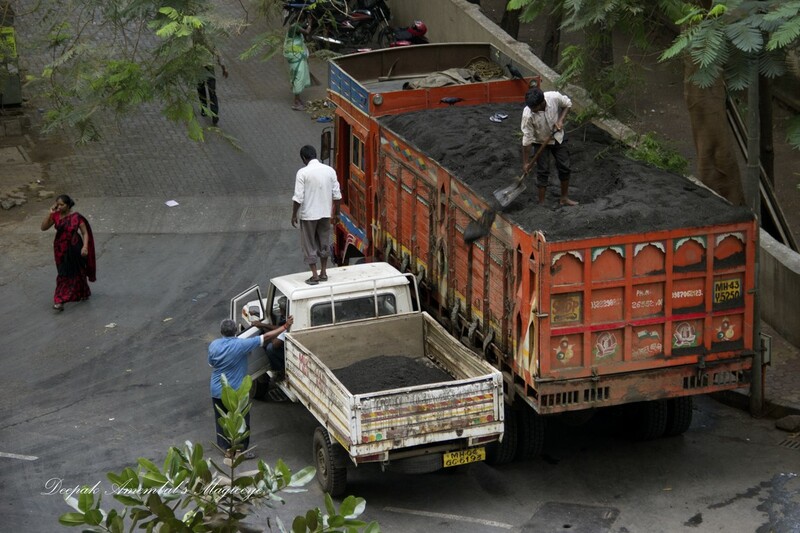 Sand being transferred from a truck to a van, presumably to be carted to a building site via narrow bylanes. 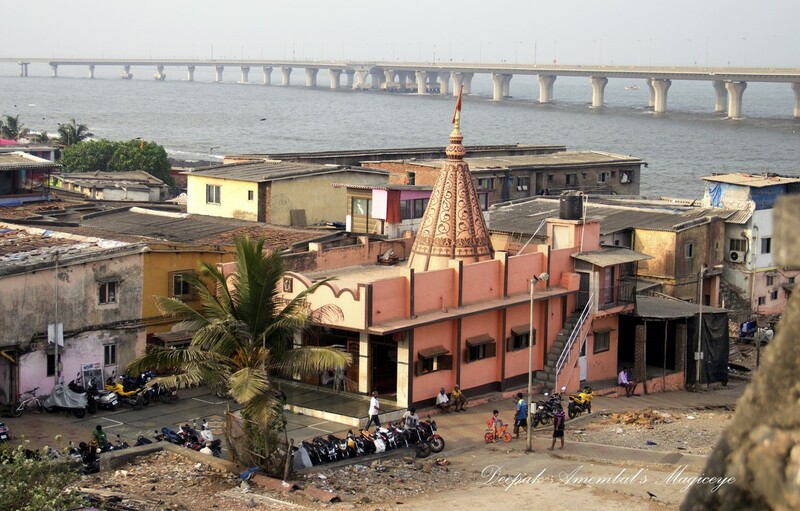 Saibaba mandir (temple) in Worli village with the sealink in the background. The Dadar, Shivaji Park coastline of Mumbai seen from Worli fort. 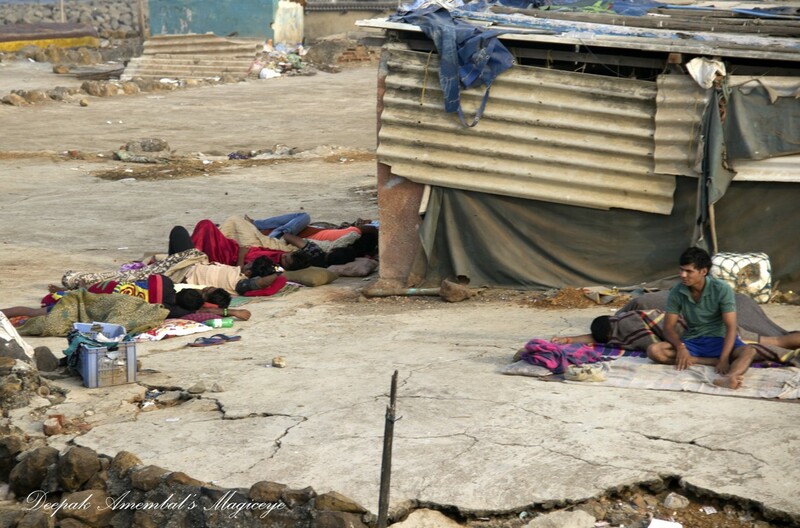 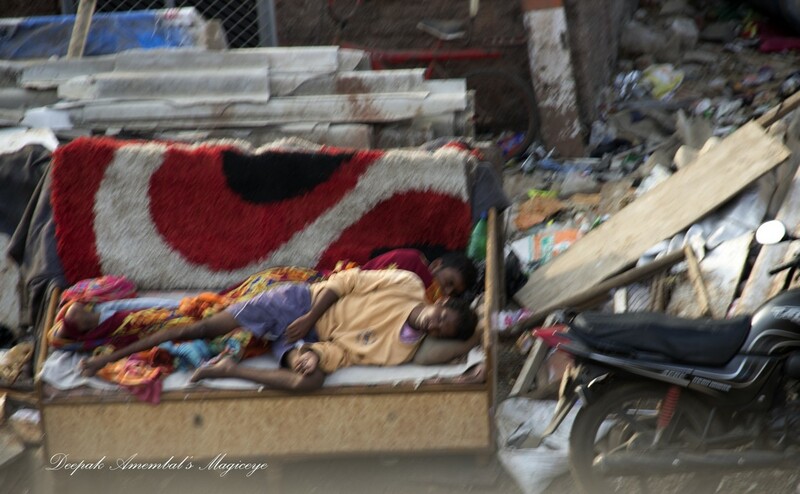 Sleeping in on a lazy summer Sunday morning in Worli village. 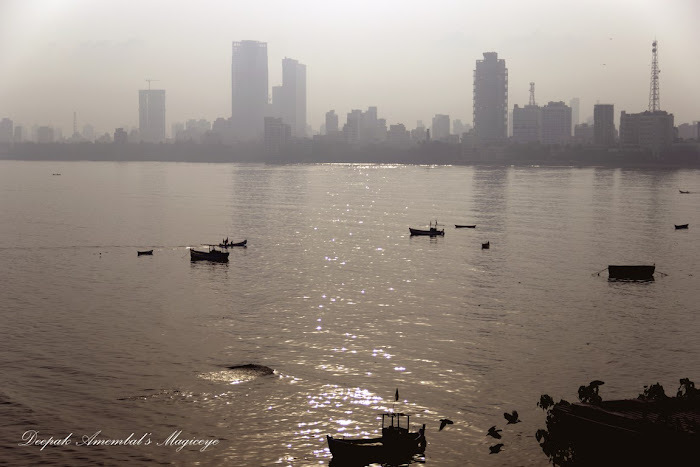 The Mumbai sky on a smoggy morning. 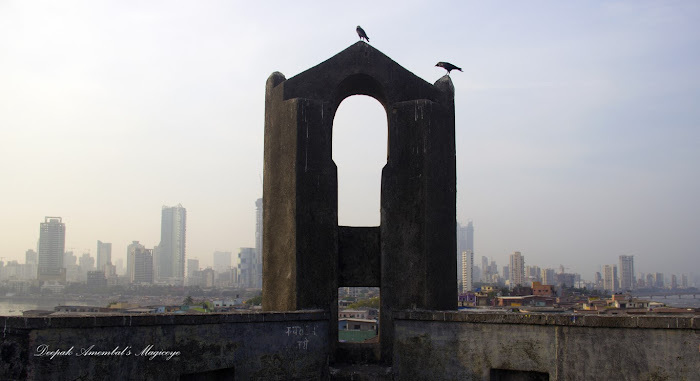 On the edge of Worli village. Keep smiling! The summer holidays for schools have begun in Mumbai. 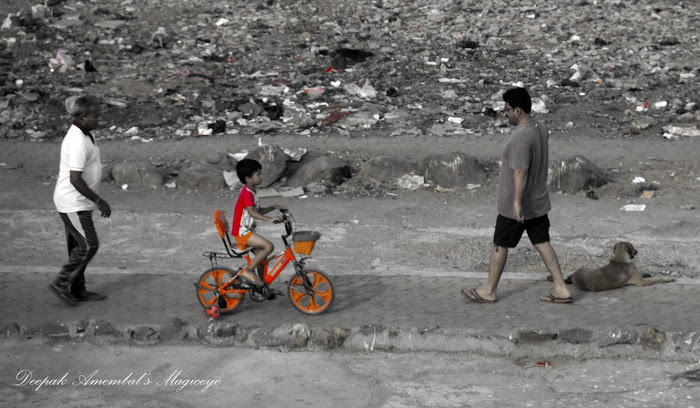 The little boy is making the best use of his holidays by learning to cycle under his grandfather's watchful eye, in Worli village. Mumbai skyline viewed from the Worli fort. The summer heat makes it unbearable to sleep indoors. 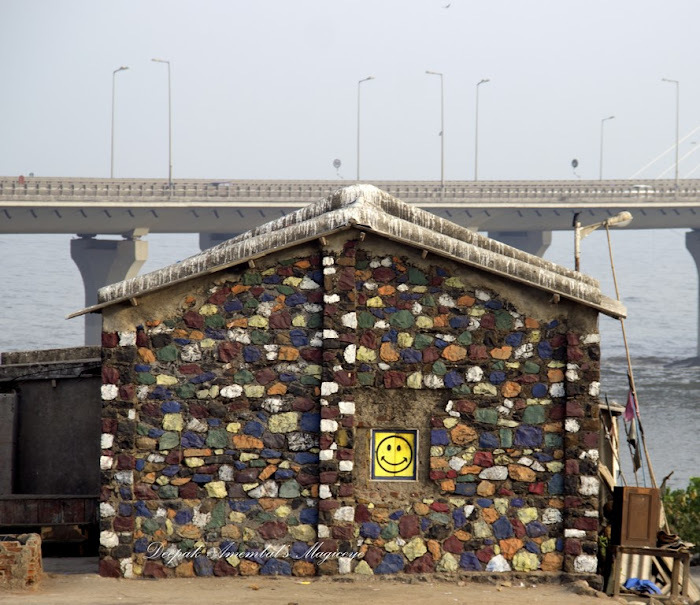 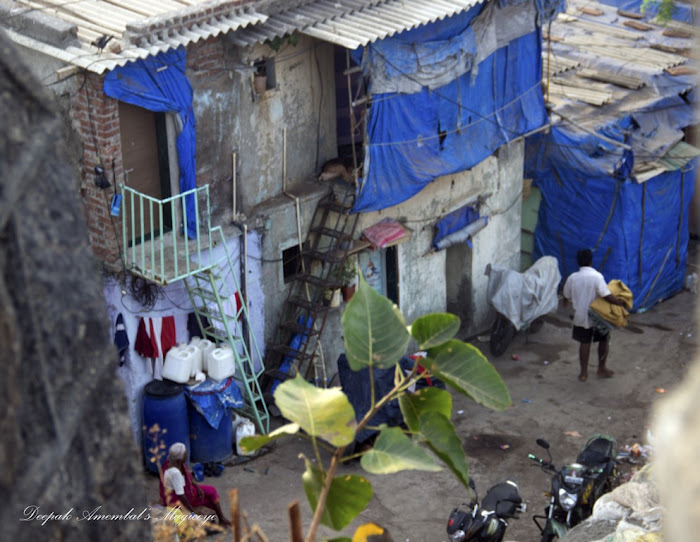 This is a slice of life of people living on the edge in Worli. 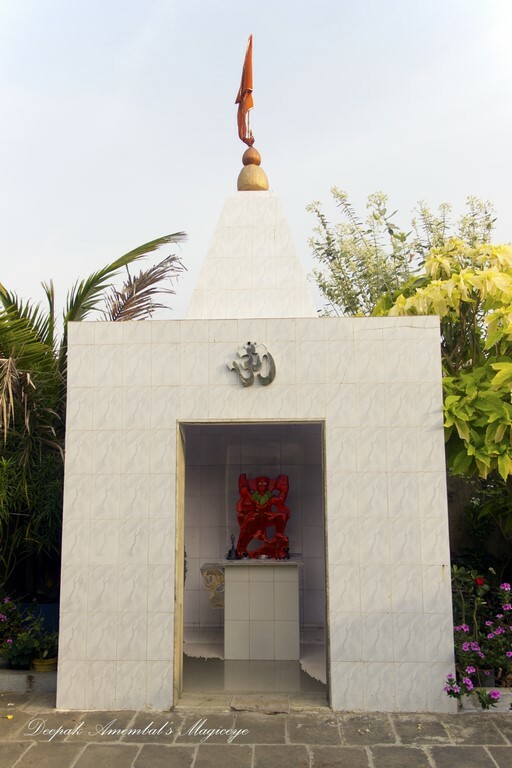 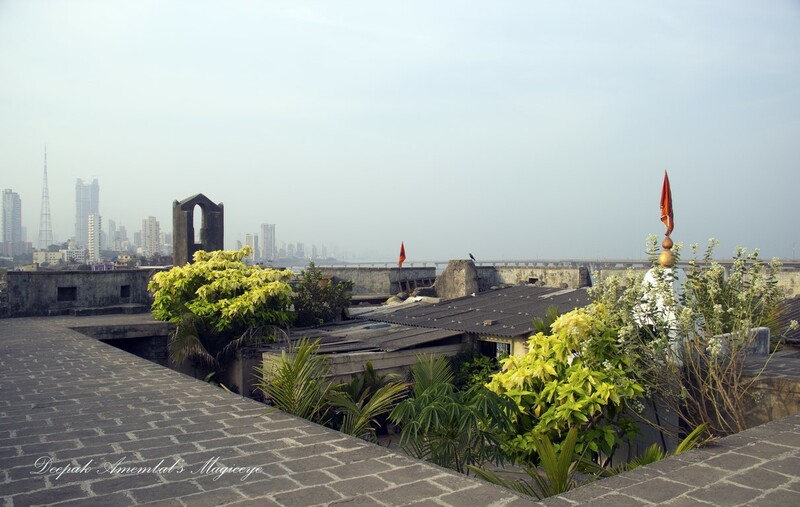 Hanuman temple atop Worli fort in Mumbai. 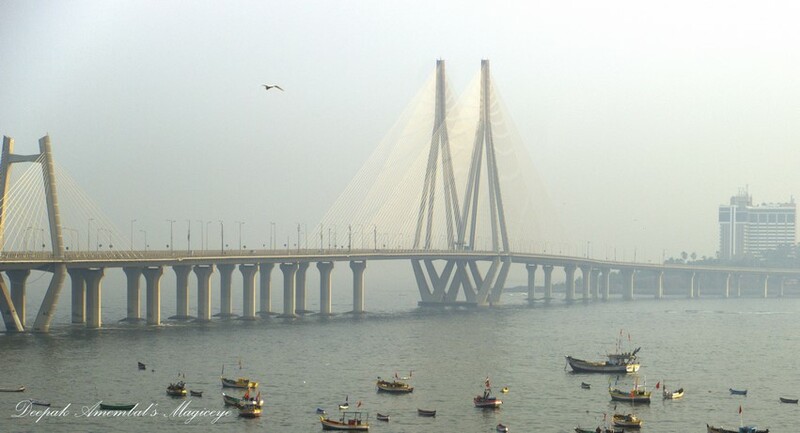 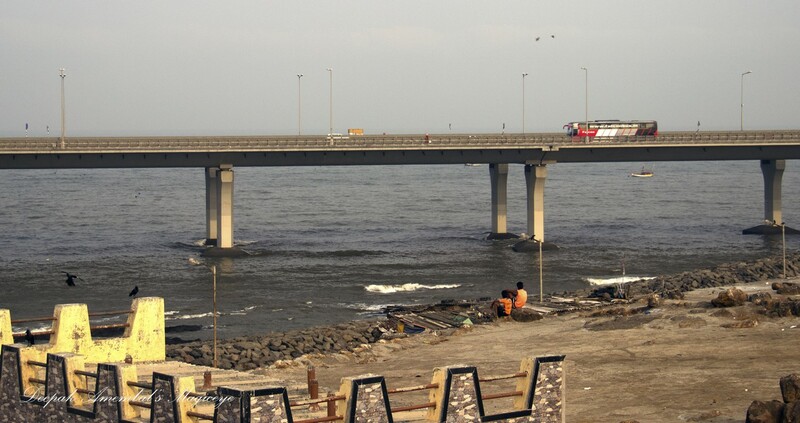 The Bandra Worli Sea Link links two facets of Mumbai with a flourish. 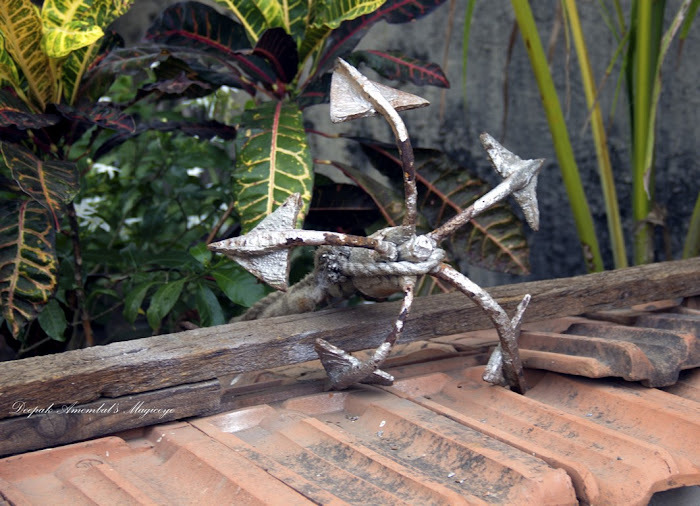 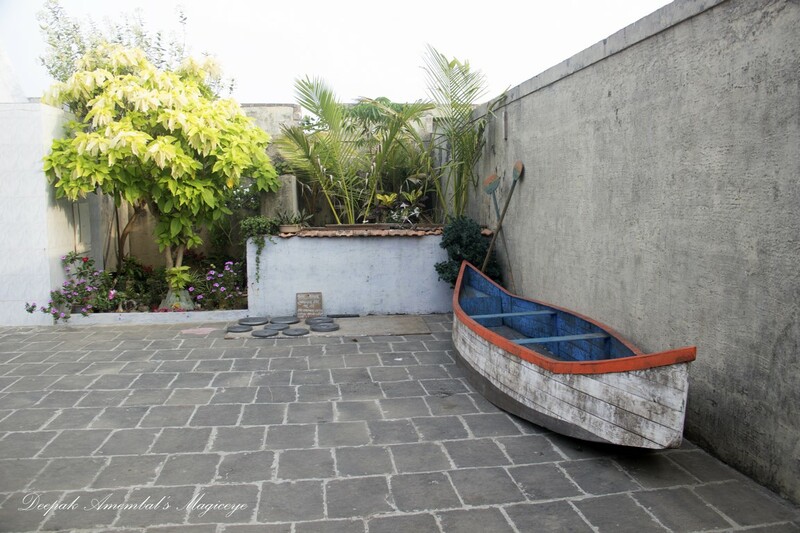 There is a boat in the Worli fort, kept by the local fishing community. 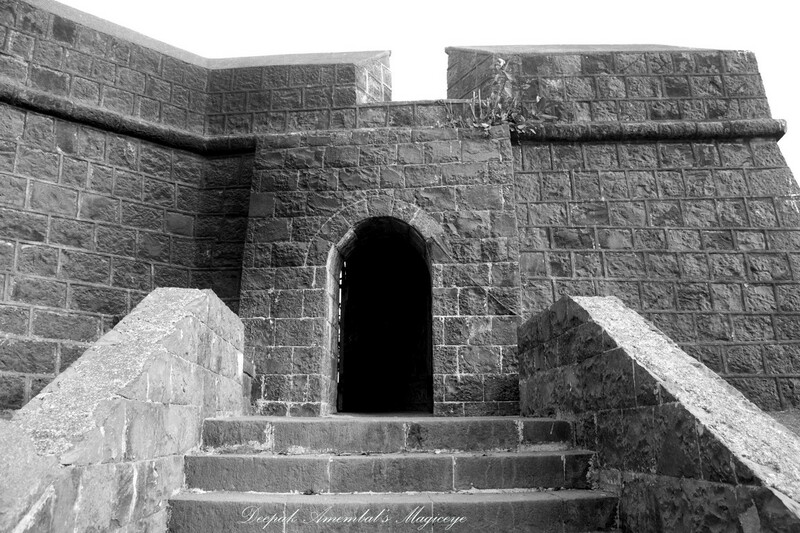 Entrance to the Worli Fort in Mumbai. The Worli Fort was built by the British around 1675 in Worli, Mumbai, India. The fort, built on the Worli hill, overlooked the Mahim Bay when the city comprised seven islands. 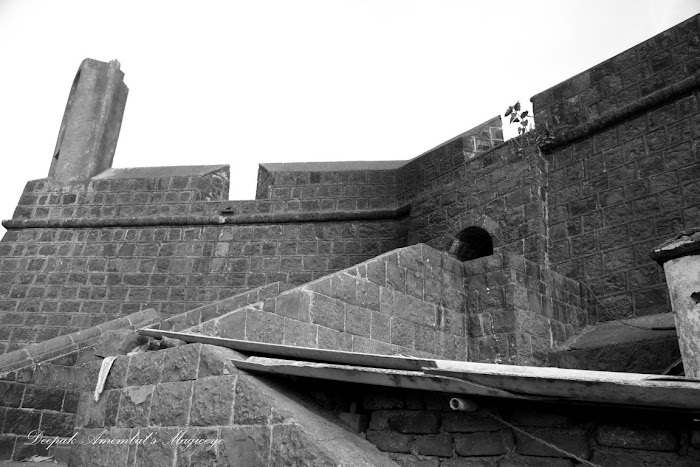 It was used as a lookout for enemy ships and pirates.